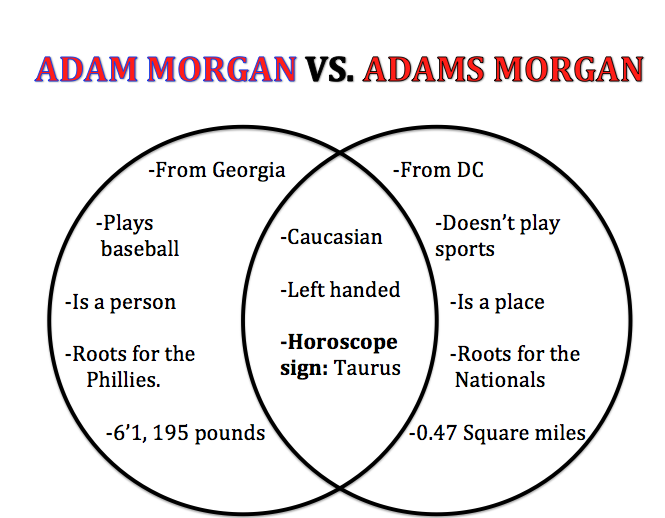 Have you ever confused Phillies prospect Adam Morgan with Washington DC neighborhood Adams Morgan? Well you’re in luck. This entry was posted in Names Are Funny, Randomness and tagged Adam Morgan, Adams Morgan, Confusion. Adam Morgan is SOOO good! And so is the falafel in Adams Morgan! !